2"/47mm wide Retracting lap belt. 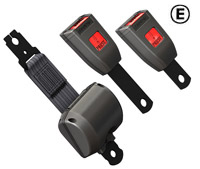 Automatic Locking Retractor (ALR) for mounting at any angle. 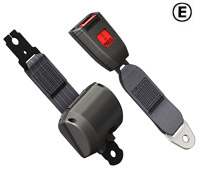 ALR locks when the lap belt is put around the wearer. Retracts into a sealed unit when not in use. 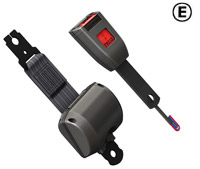 Micro switch for 'Wearing check / Vehicle Immobilisation Capability'.